If you missed #36 click here. Best Moment: Just... the art design. It's out of this world. A remaster of this game would be just so exquisite! 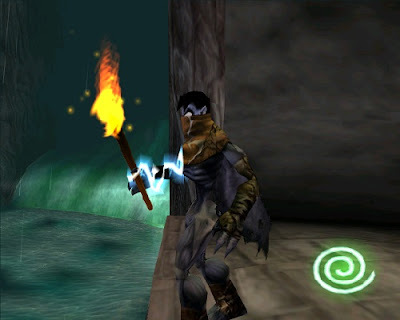 Soul Reaver is just one of those games that... if you've ever had a PS1 you need to have played this game. It's as simple as that. Some rate it as one of the best games of all time, certainly one of the best games on the console. For me, it's not quite as good as that, because, well, for one, I found the difficulty to be a bit much, but then again perhaps because I was a lot younger then that might be why, because I've not played this game in a long long time. It also was complicated in terms of knowing what to do next and how to progress forward. But, the negatives aside, this game, artistically is simply stunning. I remember the beginning video like it came out yesterday, and boy, it's one of my favourite intros in any video game ever. The game's design is just brilliant, I love the gothic themes, the darkness, the vampires, the way Raziel looks, the way you absort souls, just everything aesthetically is just gorgeous. 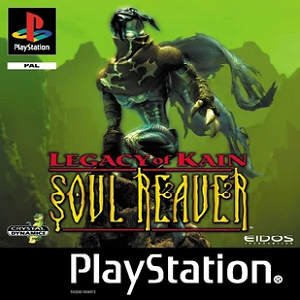 It truly is one of the PS1 games that thoroughly deserves a remaster, and if one ever did happen, I'd certainly play it again, that's for sure. What came in at #34? Find out here!